The Australian National Flag has served Australia well for over 100 years as the chief national symbol by law, custom and tradition - there are no compelling reasons why it should change. 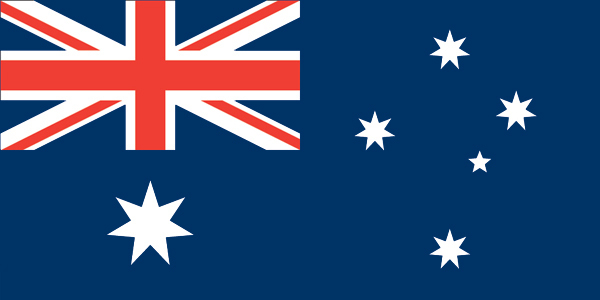 The current flag is already well known internationally and it its distinctive and attractive design is effective in promoting Australian identity overseas. The current flag was chosen in a unique and democratic public competition in 1901, judged to be the best design from 32,823 entries, with five different persons independently submitting the same design. The story of the 14 year-old Ivor Evans is considered inspirational, especially in the claim that he saw the Southern Cross as symbolic of Dante's four virtues of justice, prudence, temperance and fortitude. Australia's soldiers, sailors and airmen valiantly fought under the current flag during two World Wars for our freedom and the spirit of the ANZACs - therefore the flag should not change. The Union Jack - The three crosses; St George, St Andrew and St Patrick represent our history and the British contributions of our language, literature, fine arts and sports, constitutional monarchy, parliamentary democracy, the rule of law and freedom of speech. The Commonwealth Star - represents our national unity - six points for the states and one point for the territories. The Southern Cross - The constellation indicates the geography of our place in the southern hemisphere. The stars of the Southern Cross shone above the Australian continent when the first Aboriginal people arrived and they relate to various Aboriginal legends. Together, the elements combine to interweave geography and history into a unique design that symbolises our future aspirations for Australia. The popular support for the Australian flag is demonstrated by its widespread use - flying from private buildings, as a hand-waver on Anzac Day and at other public events and as a car sticker or lapel pin. The large number of members of the Australian National Flag Association (ANFA) is specific proof of the strength of public support for "our flag". ANFA members and the public show their support for the flag by attending annual Australian National Flag Day ceremonies each 3rd September. The flag is a continuing focus of our national pride, whilst other flags such as Eureka are of only historical interest. The Australian flag has flown during most of the significant events in Australia's history, particularly at the Olympic Games of Melbourne and Sydney and in celebration of many other great sporting achievements. Many major events - either the celebration of an achievement or a public tragedy involve the national flag in some way and every such usage reinforces the need for the flag to be honoured unchanged. The flag is for all Australians representing people from all backgrounds who support Australia's future, including migrants and Aboriginal people. It is the right and privilege of all Australians to fly the national flag and display it with pride and dignity in accord with the rules of flag etiquette and protocol. The flag should not be changed without a referendum that would enable all Australians to vote on whether they would approve any change. This was the intended effect of the amendments to the Flags Act made in 1998, though some argue that the current flag should be included in the Constitution to ensure the effectiveness on such a prohibition on change without a majority vote. Supporters of the current flag fear a change occurring, as they expect that any new design would be imposed by a government responding to a vocal minority and lobby groups and that such a design would not be capable of achieving popular acceptance, let alone one that could be as inspiring as the current flag. 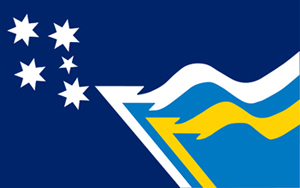 Newspaper phone-in polls (Sydney Morning Herald 1998 and 1999) have been conducted which show the current flag being the most favoured when compared to various Ausflag designs. Ausflag and others promoting a flag change are elitists who are closely linked to the republican movement. If the republic had been successful in 1999, then a change of flag was considered to be inevitable. 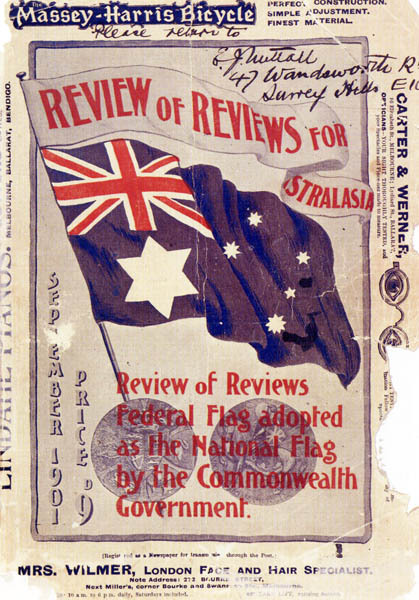 The referendum on the republic was rejected by ordinary Australians who were not persuaded by the pro-republic propaganda from the media and politicians and the vote should be regarded as supporting the view that the Australian flag also should not change. Further information can be obtained from the website of the Australian National Flag Association.